Located in the popular Park Farm development is this immaculate 3 bedroom link detached family house. Situated in the popular Park Farm, Kingsnorth development, is this superb 3 bedroom detached family house. On the ground floor is the entrance hall, cloakroom, large lounge and kitchen/diner. The first floor offers master bedroom with en-suite shower room and built in wardrobes, bedroom 2 has a built in wardrobe and a further 3rd bedroom and family bathroom. The front garden and driveway sets the property back from the main road and the garage has loft storage space and parking in front. 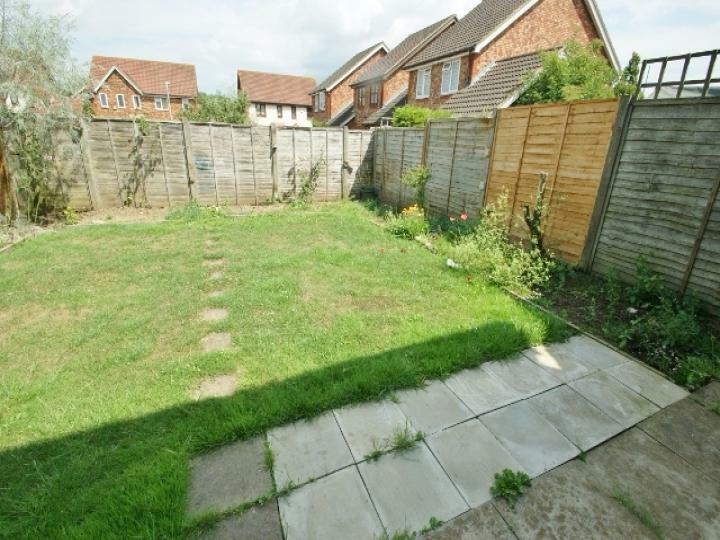 The rear garden is fully enclosed and is mainly laid to lawn with a patio area. This family home is available to view now so call or email us today to arrange your viewing! Located in the popular Park Farm development is this good sized 3 bedroom link detached family house. Situated in the popular Park Farm, Kingsnorth development, is this 3 bedroom detached family house. On the ground floor is the entrance hall, cloakroom, large lounge and kitchen/diner. The first floor offers master bedroom with en-suite shower room and built in wardrobes, bedroom 2 has a built in wardrobe and a further 3rd bedroom and family bathroom. The front garden and driveway sets the property back from the main road and the garage has loft storage space and parking in front. The rear garden is fully enclosed and is mainly laid to lawn with a patio area. For the consideration of cash buyers only!